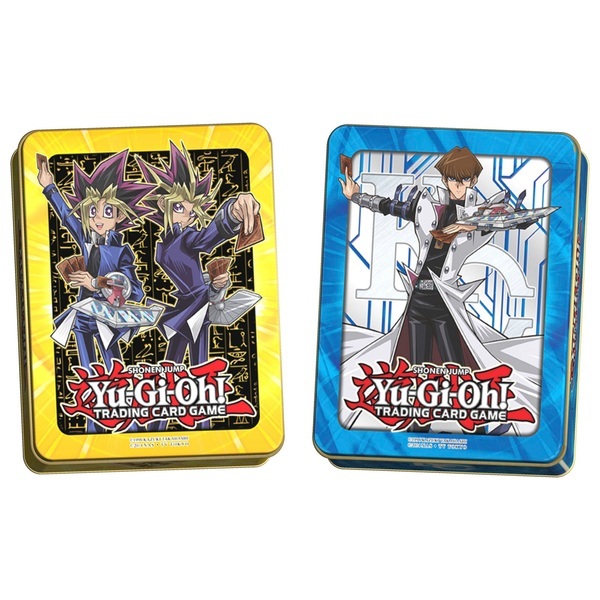 You will receive one of two tins, showcasing either the dual nature of Yami Yugi and Yugi Muto, or the singular awesomeness that is Seto Kaiba! The Yu-Gi-Oh! Trading Card Game allows everyone to relive the exciting Duels that take place in the animated Yu-Gi-Oh! Series. In the Yu-Gi- Oh! Trading Card Game, players use the cards they’ve collected to construct Decks consisting of 40 or more cards. Then, they use their Decks to face off against opponents in a game of strategy, luck, and skill.